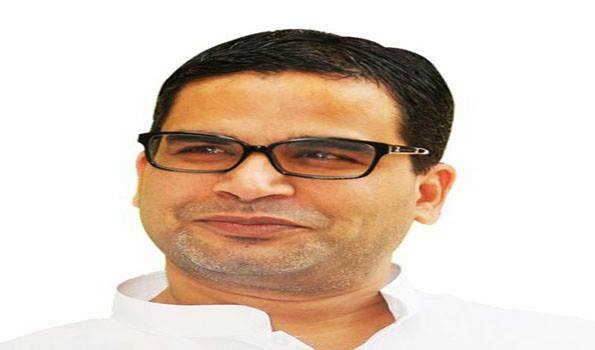 New Delhi: Close on the heels of RJD leader Rabri Devi claiming that poll strategist Prashant Kishor had approached her party with the proposal to merge the JD(U) and the RJD, Mr Kishor on Saturday challenged Lalu Prasad for a debate to tell it on what transpired during their talks. "Those convicted or facing charges of abuse of public office and misappropriation of funds are claiming to be the custodians of truth," he tweeted making a blistering attack on Lalu Prasad, who is convicted in the fodder scam. He further wrote in Hindi, "Whenever Mr Lalu Prasadji wants, we can sit in front of media and things will become clear to everyone on who made what offer". On Friday, senior RJD leader and former Bihar chief minister Rabri Devi had claimed that Prashant Kishor, who had earlier worked for BJP and Congress, had met Lalu Prasad and had mooted the idea to merge the JD(U) and the RJD.Mr Kishor is now the national vice-president of the Nitish Kumar-led Janata Dal (United). Ms Rabri Devi on Friday also claimed that she got angry when she got to know about the proposal of merger and had asked him (Prashant Kishor) to go away as "I had no trust left in Bihar Chief Minister Nitish Kumar following his betrayal". Ms Rabri Devi's obvious reference was to the political machinations of Mr Nitish Kumar, who joined hands with Lalu Prasad in the run up to the 2015 Assembly elections but deserted the RJD-JD(U)-Congress Grand Alliance in 2017 and returned to the BJP-led NDA fold. Mr Kishor also courted controversy in January this year when in a rather surprising and out of box reaction, Mr Kishor had tweeted extending good wishes to Ms Priyanka Gandhi Vadra on her new and first formal political assignment. "One of the most awaited entries in Indian politics is finally here!," Mr Kishor has tweeted.